At 800ft, Stow-on-the-Wold is the highest town in the Cotswolds and sits at the convergence of no fewer than 8 roads including the Roman Fosse Way. Stow-on-the Wold is a pretty market town and one of the most touristed Cotswold spots. The old Market Square, surrounded by 17th and 18th century cottages and inns is a lovely place to wander around. 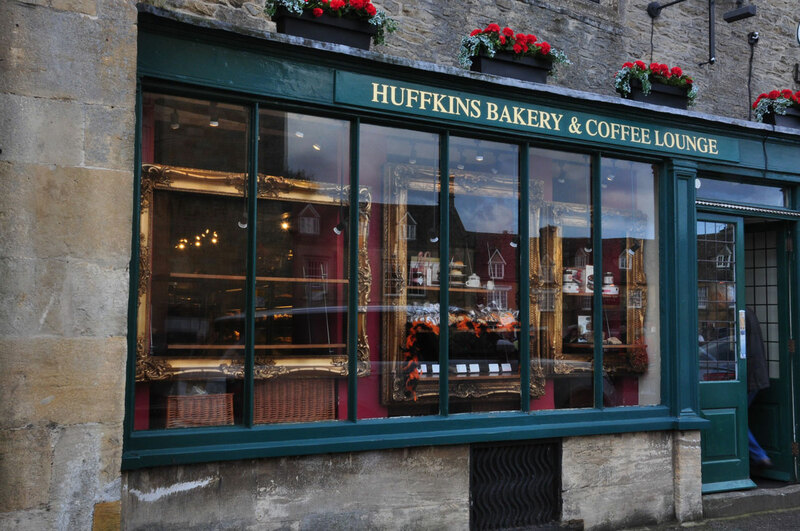 Why not browse through the many antique shops and stop in at one of its cosy tea rooms and pubs. Evidence of a 30 acre Iron age settlement still exist today and the Romans later built the Fosse way and a villa here with their major settlements being in Bourton-on-Water and Dorn, all situated on an important Roman trading route. With the arrival of the Anglo-Saxons the land was divided into manors, with the local one becoming known as Maugersbury. Civil War– The English civil war was fought between 1642 and 1646 between the Parliamentary ‘Roundhead’ forces keen for reform on the one side and the Royalist ‘Cavaliers’ loyal to King Charles I on the other. The famous last battle of the war took place in the market square in Stow-on-the-Wold when a Royalist army marched through the Cotswolds in a desperate attempt to join up with King Charles at Oxford. They were finally confronted at Stow on the Wold by a Parliamentary force and the Royalists were defeated and over 1000 imprisoned within the church, with the commander of the Royalist cavalry, Sir Jacob Astley, famously sitting down on a drum near to the market cross and surrendering his army. So much blood was said to have flowed down the street leading away from the square that ‘ducks could have bathed in it’ hence the streets name Digbeth Street meaning ‘Ducks Bath’. King Charles I is also said to have stayed at the Kings Arms in 1645 the night before the Battle Of Naseby, with his army camping along the Maugersbury Rd. Old Stocks– At the Northern end of the Market Square are the old penal stocks which have been here in some form or another since the 15th century and were used to publicly humiliate the towns ‘unruly artisans’. England’s Statute of Labourers required every town to have stocks and has never been formally abolished, with them being most recently used in Rugby in 1865. A great photo opportunity! Market Cross– a cross has stood in the square since the 15th century when it was erected as a reminder for the market traders to do business honestly and fairly under the watch of God. Its 4 sides are a tribute to events and people significant to the town: The Civil War, the wool trade, the crucifixion and St Edward. The towns connection to St Edward is unknown but possibly refers to Edward, King and Martyr, the young king stabbed to death at Corfe Castle in 978 AD. St Edwards’s Church– built on the site of an earlier Saxon church and just set back from the Market Square, St Edward’s church has medieval origins but was partly restored in the 17th century after much damage was caused when it was used to house Royalist prisoners during the civil war. St Edwards Hall– built in 1878 from unclaimed deposits in the towns savings bank St Edwards Hall takes centre stage in the square and is now used for council meetings and as the towns library. Why not visit Stow-on-the-Wold and other pretty Cotswold villages on one of our driver-guide or cycling Tours of the Cotswolds?